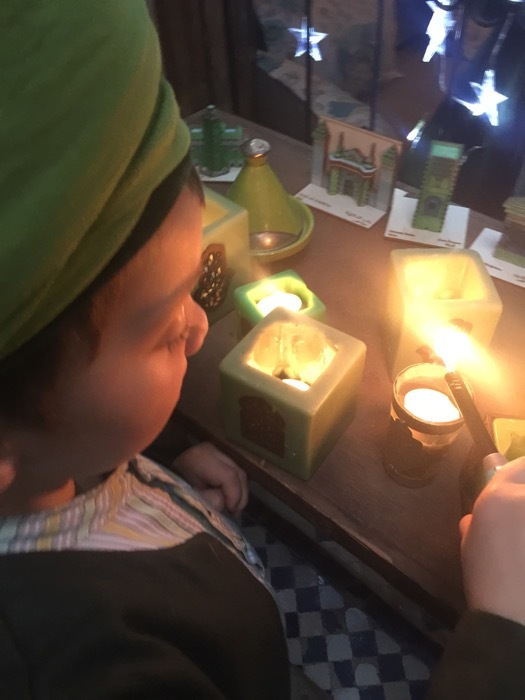 This year my son is lighting the candles in our green lanterns. 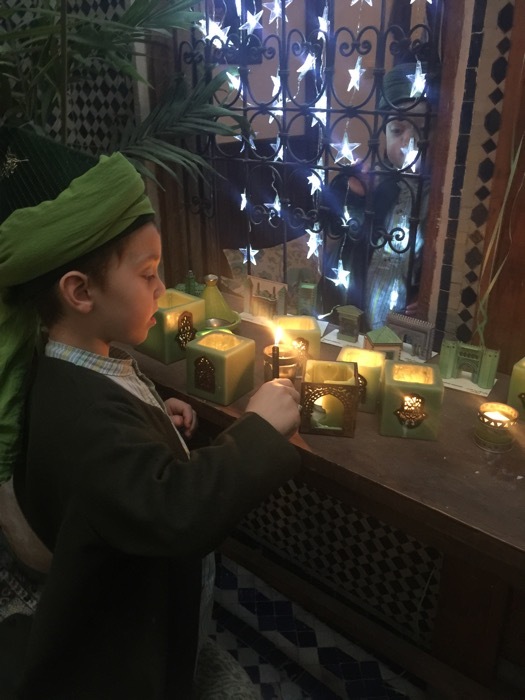 This is the third year where we have lit green lanterns for Mawlid to represent the creation of the light of Muhammad (s). Last year we lit these lanterns on dzikr nights or other gatherings in the month of Mawlid. 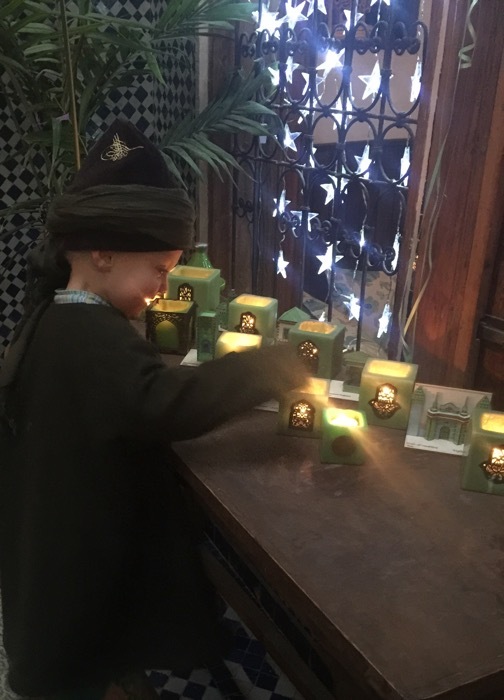 This year though the children are asking to light them every night when the sun sets for the evening prayer. What was a party decoration has now become a tradition that the children remember and look forward to. 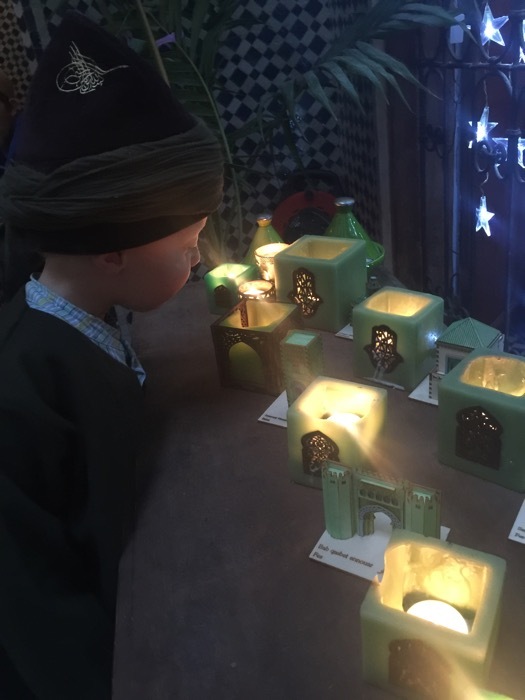 Please share any ideas you and your family may have for similar family traditions in Mawlid.